The HVL-LBPC LED battery video light provides a high intensity light (1,800 lux at 1m and 2,100 lux at 1m with Blight booster mode), extended life (10,000 hours), and low power consumption (16w). The HVL-LBPC is designed to provide the optimum spread for wide-angle shooting with NXCAM and XDCAM camcorders. It illuminates with uniform intensity right across the field of view. The attached diffuser makes it possible to soften shadows and reduce contrast. Powered by BP Series or L Series batteries with an operating life of about 3 hours (with the NP-F970 battery). When the HVL-LBPC is attached to the MI (Multi-Interface) Shoe of a camcorder such as the PXW-X180, the power on/off can be controlled by the camcorder's power on/off status or be based on the rec start/stop status. 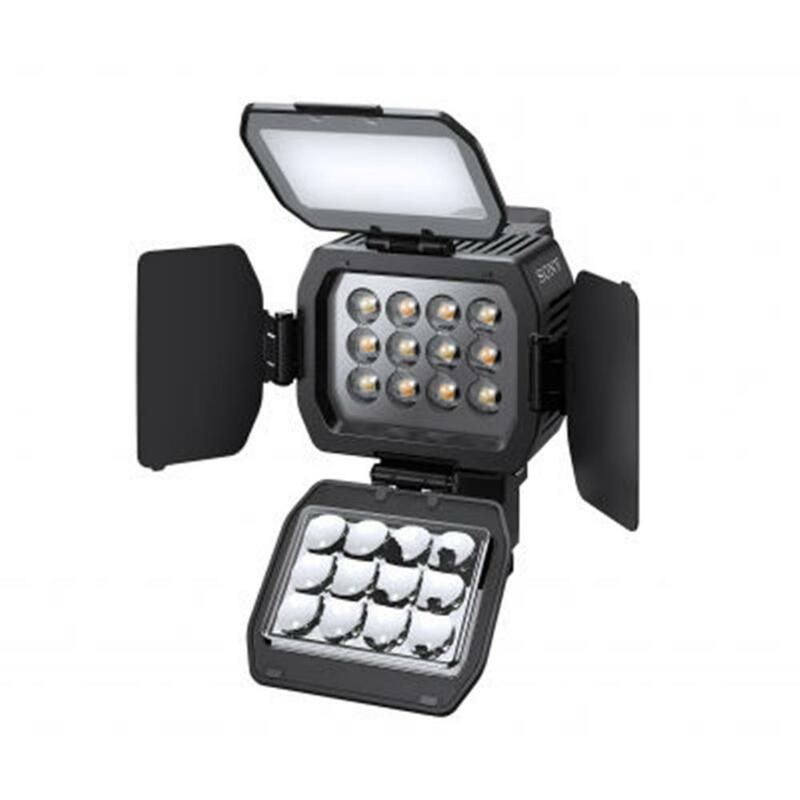 The LED light offers 1,800lux at 1m and 2,100 lux at 1m with Blight booster mode. On/off controlled via the MI Shoe by the camcorder's power on/off status or rec start/stop status. To power the LED light you can use the same L Series batteries (NP-F970/770) or BP Series batteries (BP-U30, BP-U60, BP-U90) that are used for NXCAM or XDCAM camcorders, making this accessory as cost effective as it is useful. It can be operated for about 3 hours with the NP-F970 battery.